TRUMPETER HERMON MEHARI was the winner of the 2015 Carmine Caruso International Trumpet Competition and a semifinalist in the 2014 Thelonious Monk Jazz Competition. He was the winner of the 2008 National Trumpet Competiton and placed 2nd in the 2010 International Trumpet Guild competition in Sydney, Australia. In 2014 he released the CD “Our Journey” with Diverse, which was recorded in Paris. Hermon keeps a busy performance schedule touring around the world and in the United States. 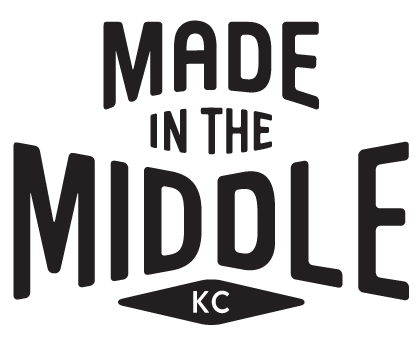 DID YOU GROW UP IN KANSAS CITY OR THE MID-WEST? HOW HAS THAT SHAPED YOU AS A MUSICIAN? I GREW UP IN JEFFERSON CITY, MISSOURI. I was gigging around mid-Missouri every weekend in high school with my best friend’s family band. It was mostly Blues and R&B with some Jazz mixed in the later years. Playing on such a regular basis really helped me hone my performance skills and made me feel comfortable being on stage. I feel that my strongest musical development took place my first few years in Kansas City when I moved here to attend the Conservatory of Music and Dance at the University of Missouri-Kansas City. The school, my colleagues and the musicians in Kansas City have definitely shaped me as a musician. HERMON MEHARI // DO WHAT YOU LOVE from BARCHIE on Vimeo. HOW DID YOU GET YOUR START IN JAZZ? WERE YOU ALWAYS A FAN OF JAZZ, EVEN BEFORE YOU BEGAN PLAYING IT? I FIRST BECAME INTERESTED IN JAZZ when I was introduced to the idea of improvisation in a summer school class I attended just before eighth grade. I thought it was so cool that I could create music in the moment, on the spot. As a result, I went out to a local record store, headed to the Jazz section, looked around for any CDs by a guy I had heard of named, “Miles Davis” and wound up picking out “Kind of Blue”. I would only later find out how important this album is to American music and that it is the best selling Jazz album of all time. I listened to it and fell in love with it, which led to years of devoted practice and extensive listening. KANSAS CITY HAS LONG BEEN ASSOCIATED WITH JAZZ AND HISTORIC JAZZ MUSICIANS. HOW DOES KANSAS CITY’S CURRENT JAZZ SCENE STACK UP? KANSAS CITY IS ONE OF THE BEST SCENES FOR JAZZ RIGHT NOW, period. I have toured in a lot of places around the US and have seen how the scenes stack up. The tradition has continued to be passed on by musicians who have been around here a long time, and Bobby Watson’s arrival at UMKC helped usher in many great younger players. There are a lot of places for jazz musicians to play and you can catch something every night. The level of talent continues to rise here as more musicians realize how strong Kansas City is in its music scene and otherwise. This is really incredible given the fact that there are only a handful of cities with sustainable jazz scenes. YOU RECENTLY WON THE CARMINE CARUSO INTERNATIONAL TRUMPET COMPETITION THIS PAST SEPTEMBER (CONGRATULATIONS!). WHAT DO YOU ENJOY MOST ABOUT PARTICIPATING IN THESE KINDS OF COMPETITIONS? WHAT DO YOU FIND MOST CHALLENGING? THANK YOU! The great part about these competitions is getting to meet other great musicians and other people in the industry. Other than any rewards that may come out of it, that’s really where the good stops as far as I am concerned. They are pretty challenging in the fact that you are playing with rhythm sections you’ve never played with before and that you have to play in a more “competitive” way. I don’t feel like music making is supposed to be competitive, so it is definitely a shift in approach. The music industry is such that any kind of help in boosting my career is worth it—which is why I do these competitions. You are involved in two different groups, The Buhs and Diverse. Tell us a little bit about each and how collaborating with two different groups of musicians benefits you. I AM A FOUNDING MEMBER OF DIVERSE, which is a jazz group. We started back in 2008, have put out two CDs and have done tours in the US and Europe. Using Diverse as a core, we start collaborating with other musicians with different backgrounds to start performing Pop, Hip-Hop, R&B and Soul music. This was the start of the Buhs, an eleven piece Pop group featuring singers Julia Haile, Anthony Saunders, Lee Langston and emcees Reach and Les Izmore. Working with these great musicians has expanded my approach to composing, production and even improvisation. When being involved with so many genres of music and stylistic backgrounds, I always try to stay true to the history of the music and where it comes from when moving forward with my own music. Take a listen to Diverse's title track from their 2014 album "Our Journey"
SOME REFER TO KANSAS CITY AS “PARIS OF THE PLAINS”. YOUR MOST RECENT ALBUM WITH DIVERSE, “OUR JOURNEY” WAS PERFORMED AND RECORDED IN PARIS. HOW DO THE TWO CITIES COMPARE? I LOVE BOTH PARIS AND KANSAS CITY, the former feeling like a second home to me. There a few similarities. This might sound weird, but Paris feels like a small big city and KC feels like a big small city. In a way they kind of balance out in my mind. Don’t get me wrong—there’s obviously a lot more people in Paris and it is an international hub, but it’s the sense of community within the industries I’ve gotten involved with that make me feel a similarity. They both have a substantial jazz scene, although Kansas City has more depth in terms of talent. The interesting thing for Kansas City is how much it has going on in the arts, food and entertainment for its size. This is why I think the comparison is made. The major differences are mostly cultural. Kansas Citians are warmer in general, and have a lot of local pride. Parisian audiences are more polite, listen better, and are more willing to go see the arts. I think I could go on for a while about cultural differences, so I’ll stop! What are three things you can't live without? Why? RIGHT NOW, excluding the vital organs and things required to nourish my body (ha! ), the three things I can’t live without are espresso, music and love. Espresso I could obviously learn to do without with, but I do enjoy the taste of a well-pulled shot of great coffee. I’m not someone who has to drink a ton of coffee, but I do always look forward to enjoying my daily espresso. Music is obviously very important to me. I enjoy listening to it as much as I do performing it and creating it. There are indescribable feelings I get when listening to music that resonates with me. There are similar feelings when I am performing and in the zone. I only hope that I can make people feel something when they experience my music. As far as love goes, I think it fuels me and gives me purpose. I feel lots of love from family and friends and want to share it through my actions on and off the bandstand. GREAT QUESTION! This might sound wild but I feel like the biggest risk I’ve taken in my career is staying in Kansas City. I really believe for the time being that I can do what I need for my career while living here. But the reality is that in order to be established with the networks that are connected globally, Kansas City is not the place to do that. Most people in the US who are pursuing similar music paths move to New York City. Many great musicians from here have moved and went on to do great things. I feel strongly about this city, and feel like I should contribute to it while advancing my career at the same time. So I balance this out by making sure I set things up regularly in NYC, Paris and most recently in Tokyo. If we were to come to Hermon Mehari’s house for a party on Saturday night, what kind of music would be playing? Any guilty pleasures? I LOVE HIP-HOP so I would probably play a lot of that—Jay-Z, Common, Notorious B.I.G., Tupac, Dr. Dre, Kendrick Lamar, etc. I have a deep love and respect for this music. If I were to consider anything a guilty pleasure I guess it would be 90s pop. However, I’ve learned not to consider anything a guilty pleasure. There are many people who wouldn’t bat an eye at me listening to Mariah Carey or whatever. IT IS TOUGH TO PICK ONE PLACE IN KANSAS CITY because there are so many I love. I support local all the time because of the high quality of local things we have here! If I had to pick one it would be Broadway Cafe. I mentioned earlier that I really love espresso and the espresso at Broadway is some of the best I’ve had anywhere around the world. It is a hobby of mine to seek out cafes and coffee shops while on tour. As silly as it may seem, it is a huge plus for me to live in a city where I have access to this level of coffee. I go there everyday and have for more than seven years now. Many of my friends and fellow musicians meet me there all the time.